1. Rename Exclude to Exclude/IncludeOnly or something else, that says it's also for "IncludeOnly". 2. 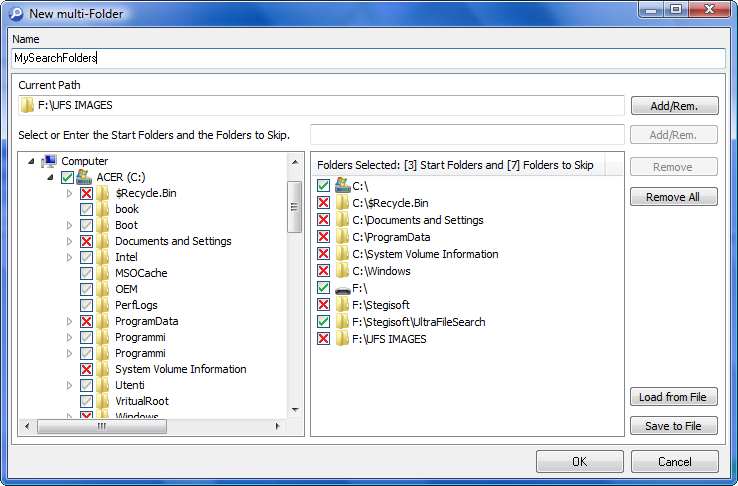 Move "include only" from NTFS/ReFS and put it in Exclude/Include tab. 3. To use the same syntax of the SearchBox, for 'Exclude'/'Include only'. It will be easier to non-beginner users. to include only "c:\window" folder. to include only "c:\window" and "e:\Everything" folders . The include only option should be on a per drive basis. However, this could be moved to the Exclude tab to keep all these exclude options in one place. Everything 1.2 did have some more advanced filters. These were removed in favor of something more user friendly. I'll consider adding an advanced filter option back. Although, indexing everything and asking questions later might not be the preferred method.. These are the type of things I'll be developing and testing for Everything 1.5. The "indexes filter" it's not instead of, but in addition. The user needs to have the pain just once, and only in cases it will be easier than do it by the Folder browsing selection. I don't think that "context menu option to exclude files already indexed" is good thing to do. but not to exclude from DataBase. This thing should be via the options. Now I have in results list all folders and files I want to be excluded from index/database. for some reason it didn't work. void wrote: Although, indexing everything and asking questions later might not be the preferred method..
Can't we make 2. method to work like 1. method?